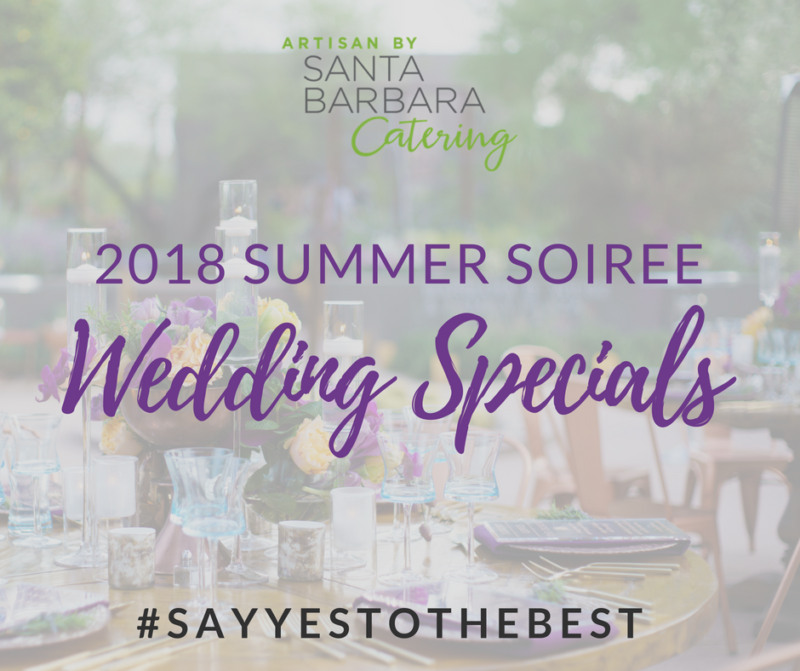 Let Artisan by Santa Barbara Catering take away all of the stress for your wedding reception and create a trend-setting menu that your guests will talk about for years. This summer, take advantage of these wedding specials, available if you book your wedding reception with us by August 1, 2018. Often couples forget that all of your linens are not included with your venue space. Did you know that you will need linens for your guest book table, your gift table, your DJ table, your unity/ceremony table, etc.? These linens will help you save on your overall linen bill! During a reception, plates and forks are provided by your caterer or a rental company for a fee. 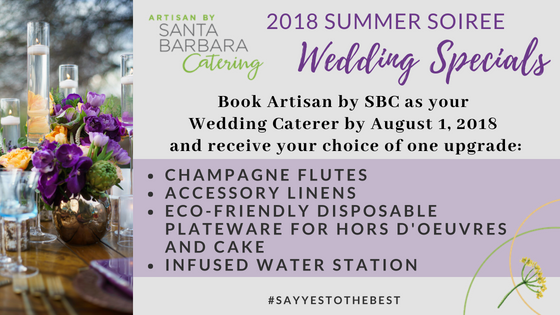 Let Artisan by SBC take care of the hors d’oeuvres and wedding cake plates and utensils for you! These plates are made from fallen leaf and are a sleek and modern take on eco-friendly disposables. Bringing distilled drinking water and ice on-site to an event requires a fee. This water station includes a beverage dispenser, environmentally-friendly cups, napkins, and linen for the station. This distilled water will be infused with fresh, local citrus for a twist on a refreshing drink for your guests. This will be set out for 1-2 hours for pre-ceremony. See these recent weddings on Wedding Chicks that we catered at for inspiration! Ready to book your event? Email us at hello@artisanbysbc.com or call us at (480) 921-3150.